Among Woodard’s most praised performances were TV movies that explored the African-American experience, including James Baldwin’s “Go Tell it on the Mountain,” “The Piano Lesson,” ”Miss Evers’ Boys” and the TV movie remake of the feature “Steel Magnolias.” She also shown in guest roles, including her turn as a mentally ill mother on the hit vampire series “True Blood.” Woodard never considered herself a star but rather a working actress, though her rich gallery of characterizations – whether rural and poverty-stricken or educated women in positions of power – embodied an instinctual savvy and realistic viewpoint that placed her in a league of her own. She has been nominated once for an Academy Award and Grammy Award, 18 times for the Emmy Award (winning four) and has also won a Golden Globe Award and three Screen Actors Guild Awards. Do you want to hire Alfre Woodard? Directly request a quote. In 48 hours we can send you the availability of Alfre Woodard If you would like to book Alfre Woodard, Entertainment Booking Agency is the right place. We will offer you the best price and contact the management or we directly contact Alfre Woodard. For corporate appearances or speaking engagements you can contact our agents and the will help you true the process. Tags: hire Alfre Woodard, Alfre Woodard booking, book Alfre Woodard, Alfre Woodard appearances, find more information on booking Alfre Woodard for appearances, Alfre Woodard speaking engagements, Alfre Woodard endorsements/spokesperson, Alfre Woodard appearance fees, Alfre Woodard booking agency contact info, biography of Alfre Woodard, Contact an artist booking talent agent find a speakers bureau that can book Alfre Woodard, speaker booking agency for Alfre Woodard, Alfre Woodard booking agency, Alfre Woodard booking for corporate event. EBA is one of the biggest entertainment booking agencies in the World. We book hundreds of celebrities, artist, athletes and speakers in a year. Important to know is that we are not claiming to be the management of Alfre Woodard. 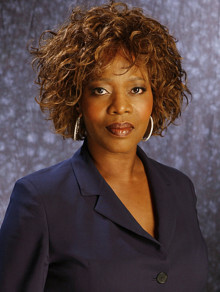 We are not the official agent for Alfre Woodard. Companies from around the globe book these artists and speakers true our company be course we have one of the biggest networks and we always have direct contact with the artist or the management. We help you to find the right celebrities for your corporate of private events. Please contact one of our agents to get free advice and we will help to get the world-famous artist on your party.